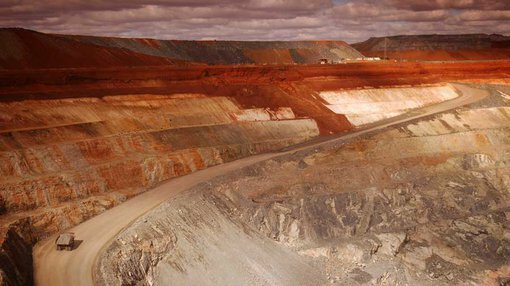 Shares in De Grey Mining (ASX: DEG) surged nearly 10% on Friday morning after the company released promising exploration results in relation to its Mt Berghaus prospect, part of the Turner River project located in relatively close proximity to Port Hedland in Western Australia. With the gold index slumping more than 7% on Friday, one can only imagine how its share price would have responded if this news was released amid more positive sentiment. Indeed, Beer & Co. analyst Pieter Bruinstroop likes the look of the project, recently saying, “In our view DEG will be able to increase the total resource significantly over the next six months, with a feasibility study about end of 2017 and first gold 12 months later”. He has a speculative buy recommendation on the stock. Potential investors should not make assumptions regarding future share price fluctuations, nor should they use forward-looking statements provided by the company or brokers as the basis for an investment decision. DEG is a speculative stock and independent financial advice should be sought prior to investing in this company. With regard to the broader project, DEG is planning for gold production from an initial series of oxide open pits and a centralised CIL plant. With numerous gold targets and 100 kilometres of prospective shear zone in close proximity to essential infrastructure, the Turner River project has plenty going for it. It isn’t surprising to see the market respond positively to today’s results which featured robust grades across relatively broad widths at fairly shallow depths. These included 12 metres grading 11.36 grams per tonne gold from 5 metres and 31 metres grading 2.07 grams per tonne gold from 8 metres. Deeper drilling yielded 12 metres grading 2.2 grams per tonne gold (51 metres) and 4 metres grading 7.95 grams per tonne gold (28 metres). Results such as these align well with management’s near term strategy of developing an open pit operation. It was also encouraging to note that drilling intersected multiple sub-parallel gold lodes, with many drill intersections outside of the existing resource boundary, suggesting the exploration upside could exceed current expectations. Importantly, the resource remains open along strike and at depth. Management noted that shallow oxide mineralisation extends to surface with rock chip samples of quartz veins returning results of up to 62.5 grams per tonne gold with an average grade of 7.1 grams per tonne from 31 samples. 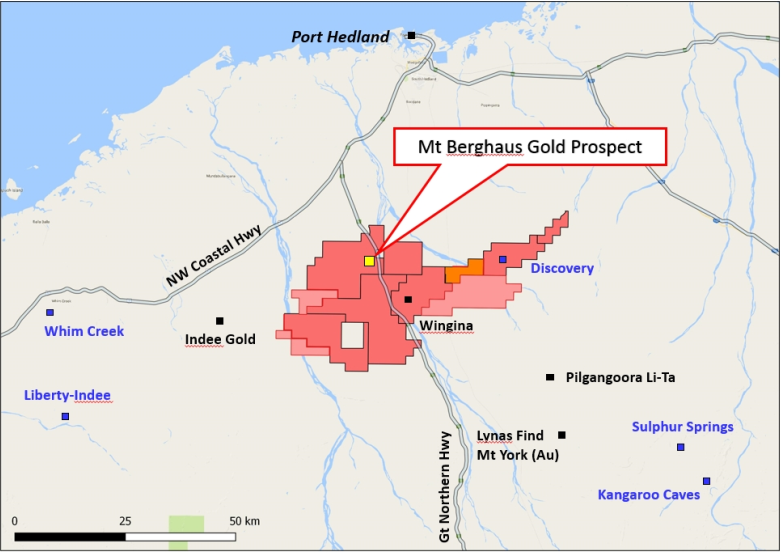 This news suggests that there is the potential for a substantial upgrade of the existing Mt Berghaus gold resource and on this note the group’s geology manager, Andy Beckwith said, “Growing the Mt Berghaus shallow oxide resource is the second step in De Grey’s strategy of defining 500,000+ ounces of gold at Turner River, given we are currently 70% there with 366,000 ounces already defined”. From a broader perspective Beckwith said that Mt Berghaus has the hallmarks of a large gold system with multiple parallel lodes, excellent grades and many untested targets remaining. The release of final assay results for the remaining 42 holes which is expected in January is a potential share price catalyst. While these results in isolation could provide share price momentum, they will also provide the foundation for an updated resource estimate, an important development in its own right.